Driftless Pathways has produced its Final Report for design of interior exhibits for the planned Visitor Center. You can view or download the report by clicking on the image below. WARNING: This is a big file. This PDF is 353 Mb in size. This survey expired on Nov 30. If you would like to add your comments about proposed exhibit design, please use the Contact page. Please share the link with friends, family, colleagues, and students and promote the survey on social media. Our goal is to understand the needs and interests of current visitors as well as those who would not typically visit Aztalan. The survey will remain open through November 30th. Driftless Pathways came to the Fargo Library in Lakie Mills to get input on exhibit themes and design for the visitor center. The meeting was open to the membership. After interviews with four candidates, Driftless Pathways was selected to develop our Visitor Center Exhibit Design. Four candidates were selected for final evaluation: Dan Joyce, Taylor Studios, UW-Milwaukee, and Driftless Pathways. Exhibit Design RFP was sent to eight experienced contractors. The final Visitor Center Architectural Design report from Dimension IV Madison Design Group. These three files are PDFs which you can download and view by clicking on them. A printed copy of this report is on display at the park trailer. Some of these images are on display at the park trailer. Click to show the next image. 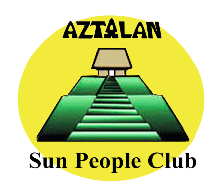 The Friends of Aztalan State Park (FOASP) has issued Addendum #1, dates 12/24/14 to the original RFP dates 12/10/14. Proposers are requested to indicate receipt of this Addendum #1 dated in the cover letter to their proposal. 2. A Performance and Payment Bond may or may not be required on the project. It will be at the owners discretion and input received from the DNR. 3. Q. Can you provide the make-up of the current design team? A: OTIE-Structural, HVAC and Plumbing ; Hein Engineering Group;-Electrical; Katie Stalker Associated-Site Planning. 4. Q. Will you be providing a copy of the 12/18/2014 meeting attendees? A. Yes. See link below. Link to attendees of 12/18/14 attendees. 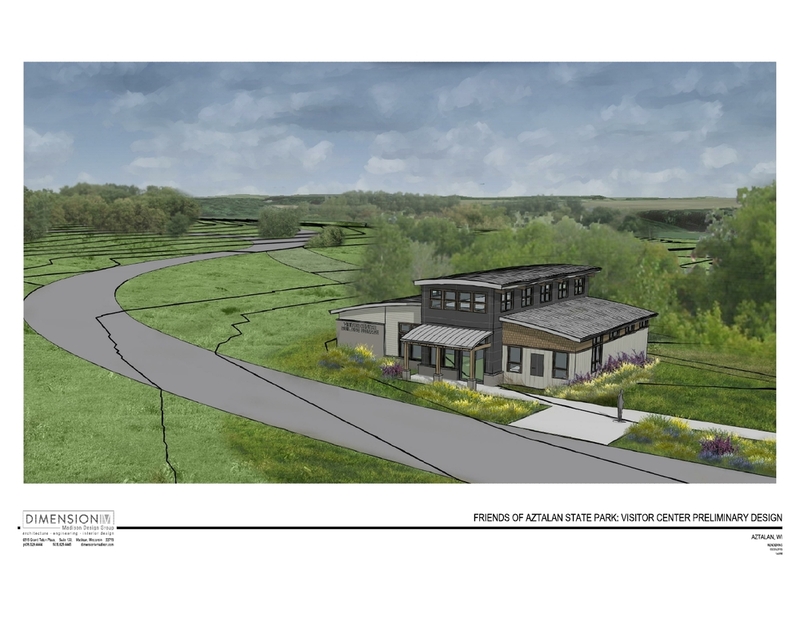 Request for Proposals – Construction Manager adviser (CMa) Friends of Aztalan State Park (FOASP) New Visitor Center FOASP requests qualified CMs to submit proposals for the ~3,000 square foot ~$800,000 building project. Download the RFP here. Pre-proposal meeting will be conducted at Dimension IV Madison Design Group, Madison, WI 12/18/2014 at 2 pm. Proposals due 1/9/2015 at noon. The Friends of Aztalan State Park invites members and the interested public to attend a "Listening Session" at the L. D. Fargo Public Library, Lake Mills, Second Floor Meeting Room, on Thursday October 30th, starting at 5:00 pm and ending at 7:00 pm, for gathering input into the planning of the proposed new Visitor Center at Aztalan State Park. Representatives of the Friends will be on-hand to answer questions about the scope and nature of the new facility, and representatives of the architectural firm will also be on-hand to gather all thoughts and creative ideas you may have about the project, especially the building and its site. This will be a "drop-in" session so you may arrive anytime between 5:00 and 6:55 pm. If you are unable to attend, we will have additional opportunities and methods for participation in this exciting process. Any and all comments are welcome and encouraged! Hope to see you there. The Friends of Aztalan released a RFP for the architectural concept design for the Aztalan State Park. This represents a major milestone in the Friends efforts build a much needed visitor Center at the Park. In September 2014, the Friends RFP committee awarded the contract to the winning bidder, Dimension IV Madison Design Group. Over the next several months, Dimension IV Madison Design Group and the Friends of Aztalan Interpretive Center committee, led by Bob Birmingham, will be soliciting feedback on the interpretive center design from a variety of interested parties, including the Friends of Aztalan, Archeologists, local residents, and the Native American Community. Feedback sessions will be held both in person and via web based survey. Information on the schedule of feedback sessions, links to the on-line survey and progress of the visitor will be available here.